A pair (2) of nicely molded filled nylon servo frames with an external bearing, to fit the MKS DS6100 and MKS HV6100 servos. 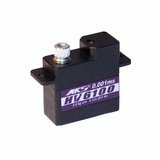 This product does not work with other manufacturer's (eg Blue Bird) servos as the output spline size and retaining arm screw size is particular to MKS. These frames speed-up servo installation, keep the servo secure and rigidly mounted, and also allow easy removal for maintenance or replacement. The external bearing reduces side load at the servo output arm, reducing compliance and extending the life of the servo. The external bearing reduces any free play, increasing the stiffness of the control surface, improving control and avoiding flutter problems. These frames are especially good for the DS6100 and HV6100 their plastic cases can deflect slightly under extreme load. Sold in pairs. Add one to the basket for mounting two servos. We're pleased you would like to review Frame with bearing for the MKS DS6100 & HV6100 (2). 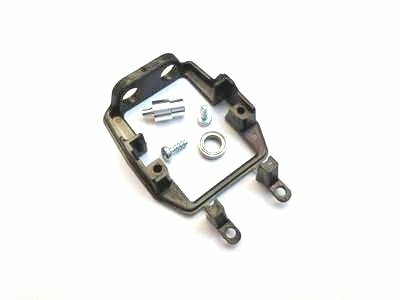 Excellent trays, well made, good bearing and housing. Works a charm! 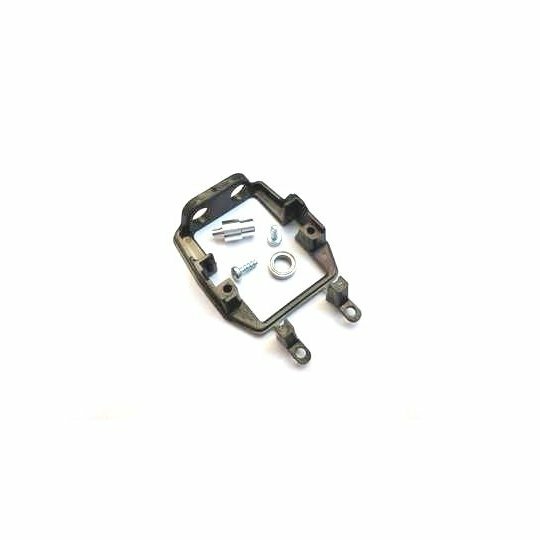 These frames are a well known, high quality item, a necessity for wing servo installations in light F5J or F3J planes. Neil's service is second to none of course. Shipped very quickly and reached the USA within days. Faster than some domestic purchases. I have used this type of servo mount before on verious servos but this is the first time with 6100 servo. They do the job really well but also make maintenance of the servo really easy. I ordered them mid afternoon and received them the following day in the post. Great. If you want to be able to easily remove servos and also ensure a longer life then these are essential. Easy to use and well designed. love these frames, light wt, very strong, allows for fast and extremely secure servo mounting. I use them for all wing servo installations. just use your favorite bond to install the frame. i use E-6000 Industrial Strength Glue Adhesive. Perfect for the servo! makes installation a breeze. Keeps your servo save from wrong forces. Worth it! Excellent service, as always from Neil. Bought the servos and ball raced frames. Fitted together very well. I am installing them in a Merlin f3f on ailerons.These servos are tiny, but have plenty of grunt! 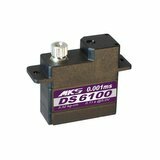 I always use these frames for the MKS DS6100 servo, it adds stability to the servo main bearing and reduces stress on the shaft and bearing, they are the best thing for your composite planes, plus it allows you to remove the servo for adjustments or replacement. buy them you'll be happy you did. I got these frames to build my Explorer. In my last moldie build I used frames (same servos) but did not get ones with hanger bearings. The bearing are sealed and make the servos feel much more solid. The servos fit in the frames with excellent fit. If you are using the MKS servos I think getting hanger bearings is the only way to go. These frames are about as good as possible and make the build much easier - good price too !